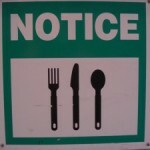 September 2012 Update: Picnic in the Park in its original format stopped being offered in 2010. After, a grab-and-go option was offered from Beastly Bazaar in Discovery Island. The Grab and Go meal came with a reusable bag. 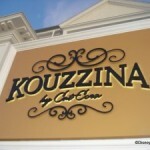 Meal choices for two ($17.99), three ($24.99) or four ($32.99) persons. Meals included: choice of sandwiches, chips, desserts, plus a bottled water. Guests with the Disney Dining Plan could use quick-service credits. Beastly Bazaar closed in August 2012. Therefore, we are unsure if the grab and go picnic option was moved to another merchandise location. Stay tuned for more information. 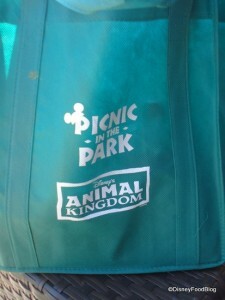 Currently, Picnic in the Park is available to anyone via a grab-and-go area in the Beastly Bazaar in Discovery Island. 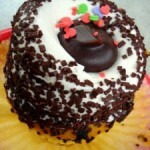 Click this link to read our review of the original Picnic in the Park. Corn Dog Nuggets VS. 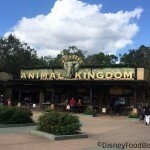 Egg Rolls: What’s Your Favorite Snack in Animal Kingdom? No more chicken?? Awww, man. My sister and I will have to look into this in October. Another fantastic food option on the road to a slow death. First, there was a great program with lots of options, then there was a good meal with some options, then we went “seasonal”, now we are “just another so-so” meal options. Now for the finale, in the near future it will fade into the African sunset and quietly disappear. This is more predictable than a Dreamworks movie. Thanks for the shout out! I’m assuming it’s the same situation with only being available for $$ or adult dining credits, but I don’t know that for a fact. JoVonn — Let me know what you think if you try it! Nancy — Thanks for all the great info! Anna — Us either. 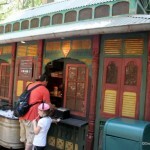 Sandwiches just aren’t for us… we like “interesting” as much as possible in WDW. Joy — Agreed. It doesn’t seem worth it, now, does it? My daughter’s Picnic in the Park reusable tote bag was accidentally destroyed. Do you know of any way that I can obtain a replacement? Any idea if this will be offered in 2012? I’d love it for our trip in early May if it’s not sweltering!